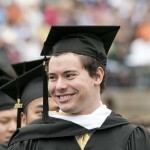 On Sunday, May 29, 2011, 587 seniors received their bachelor of arts degrees from Gustavus Adolphus College. Senior Phil Helt of Gladstone, Mo., delivered this year’s commencement address. 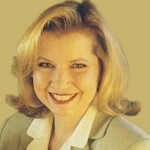 Associate Professor of Nursing Barbara Zust received the 2011 Edgar M. Carlson Award for Distinguished Teaching. Barbara Zust, Associate Professor of Nursing at Gustavus Adolphus College, received the 2011 Edgar M. Carlson Award for Distinguished Teaching during the College’s commencement exercises on Sunday, May 29. The Gustavus football team will be traveling to Cancun, Mexico for a five-day trip that will combine football, service, and some fun. The team will depart Wednesday, May 25 and return Monday, May 30. 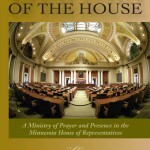 Star Tribune columnist and editorial writer Lori Sturdevant printed a piece on Monday, May 23 about former Gustavus Adolphus College President Dennis Johnson and his new book, Chaplain of the House: A Ministry of Prayer and Presence in the Minnesota House of Representatives. 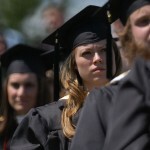 At 2 p.m. Sunday, May 29, the class of 2011 will receive their bachelor of arts degrees from Gustavus Adolphus College during commencement exercises at Hollingsworth Field. As of 10:30 a.m. Sunday, Gustavus officials have decided that the ceremony will take place outside as originally planned. Gustavus Adolphus College senior Phil Helt has been chosen by a committee of faculty, staff, and students to speak at the College’s commencement ceremony on Sunday, May 29. 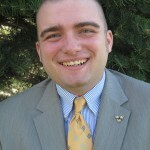 Helt will graduate with a degree in Communication Studies and History. 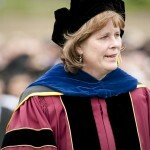 Lori Carsen Kelly ’83, visiting assistant professor of political science, received the 2011 Swenson-Bunn Memorial Award for Teaching Excellence at the College’s Honors Day convocation on May 7. The Minnesota Private College Council printed a story in its May newsletter about three graduating seniors and their search for a job. 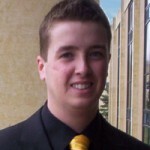 Featured in the story is Gustavus senior Chris Wiens, who landed a job as an implementation analyst at Minneapolis-based SPS Commerce.